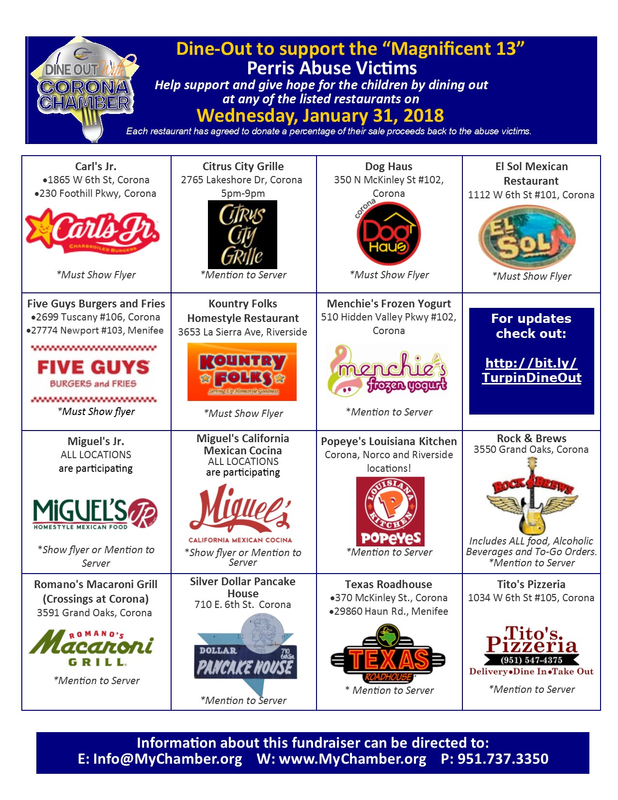 More than three dozen restaurants — including all Miguel’s and Miguel’s Jr. locations — are donating a of their sales today to a fund that the Corona Chamber of Commerce Foundation created for the siblings. Most restaurants require you to mention the fundraiser or show the flyer, which is available by clicking here. To read more, including how to donate if you can’t participate in today’s fundraiser, click here. For updates, click here. This entry was posted in Corona, Menifee, Norco, Riverside and tagged fundraisers by John Plessel. Bookmark the permalink.